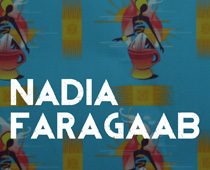 Nadia Faragaab is a Somali Australian artist, working in mixed medium to juxtapose the old and the new. She says that often her inspiration comes from the nuances of what it means to be Somali – the constants and the change – no matter where the Somali is living in the world. 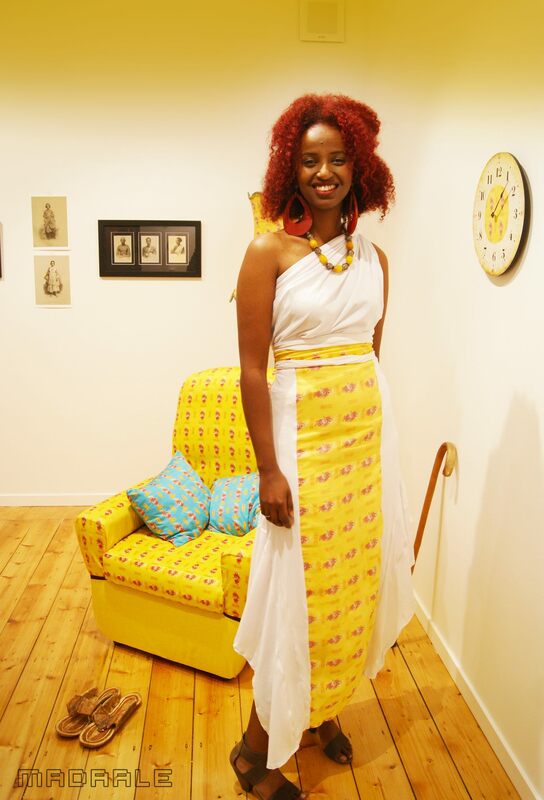 Her work has evolved from noticing an absence of Somalia and Somali culture in libraries, galleries and pop culture. She works with canvas, multimedia, digital print and installation. Recently, Nadia exhibited in at the blackdot gallery – marking her as the first Somali Australian to exhibit in Australia. Her work explores “Somaliness” in a comtemparary setting. She has literally travelled around the world to learn what it means to be a Somali. From China to Zanzibar, London to Senegal, she looks for the Somali in everything. Nadia is also a DJ and involved in street theatre projects. She works as a consultant with schools and community service organisations to engage Somali community, especially children and young people, in art and culture.